Unsightly green slime can occur in switch and socket-outlet boxes. It is understood that this phenomenon is most prevalent where pvc cables manufactured between 1965 and 1971 have been used. The green slime, or green goo, is degraded di-isoctyl phthalate and is considered to result from a chemical reaction between the plasticiser of the insulation and the copper conductor in the pvc cable. Between 1965 and 1971 the temperature performance of pvc was uprated by the inclusion of an anti-oxidant into the pvc compound. An unappreciative side effect was that the anti-oxidant encouraged production of the green goo. Unfortunately, where an installation is seriously affected by the deficiency, the only practicable solution is to rewire the premsies and replace any damaged electrical equipment. There are possible Health and Safety issues of retaining, working with and the disposal of contaminated wiring and accessories. Deposits of the product must not be permitted to be exposed for causal contact, particularly in areas accessible to children. In cases where a property is to be completely rewired, redundant materials should be disconnected and removed from site. Di-isoctyl phthalate is a toxic substance and suitable protective clothing should be worn when handling waste materials. Special attention should be paid to hygiene when working on contaminated installations. Waste should be disposed of in suitable labelled containers and to registered Waste Disposal Contractors. NICEIC strongly recommends that advice is sought from the Health and Safety Executive as to appropriate action when dealing with installations so affected. 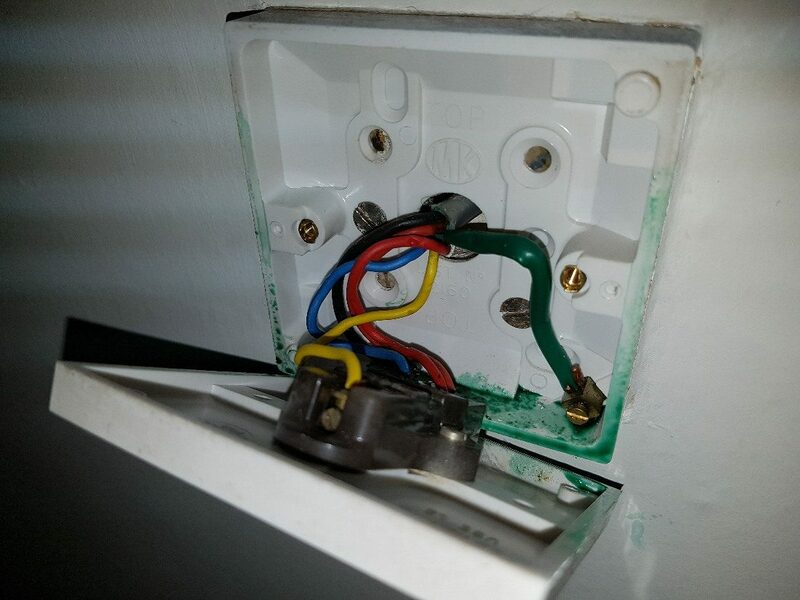 Due to Green Goo in Electrical Installations being hazardous, Goodwin Electrical in Plymouth recommend a rewire. Contact us now on 01752 957808 or fill in our Contact Form. 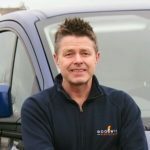 I founded Goodwin Electrical in 2008 after serving 17 years in the Royal Navy working on Submarines. Goodwin Electrical was established in 2008. We are trusted and reliable Plymouth electricians who serve customers in the city as well as Plympton, Ivybridge and Devon.